At CR Smiles – Meridian Dental Care we will bring your smile back to life by providing superior dental care with the customer service you deserve! CR Smiles – Meridian Dental Care was first established in August of 2008 in Meridian, ID. We have the belief that without dental health, an individual is truly not healthy. 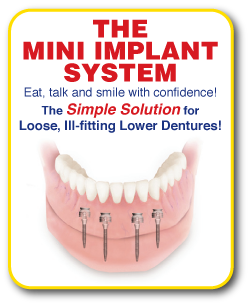 Along with extractions, dentures, partials, and implants, our experienced staff and clinic offer all forms of general dentistry. We even make our own brand of dentures in our very own dental lab to provide you custom dentures the same day as your tooth extractions! From our convenient location to our attractive office atmosphere, we offer the most innovative dental techniques and affordable fees available in Boise. Your dental health is our top priority. Whether it is a simple checkup or several tooth extractions and a new set of dentures, our experienced and non-judgmental staff is prepared to serve you. 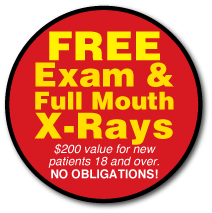 All new patients 18 years and older receive a free comprehensive new patient exam including all x-rays. NO obligations! After the initial exam, we will review your treatment plan and discuss all of your financial options in a thorough consultation. No hidden fees. No hidden charges. Plan your new smile in one day under one roof at CR Smiles – Meridian Dental Care! With better dental health and a beautiful smile, you’ll feel better and look better too!